NJRCEV has completed numerous successful projects with prominent business developers and property owners. Below is an overview of Net Metered and Grid Connected solar projects. Click project image to see larger view. 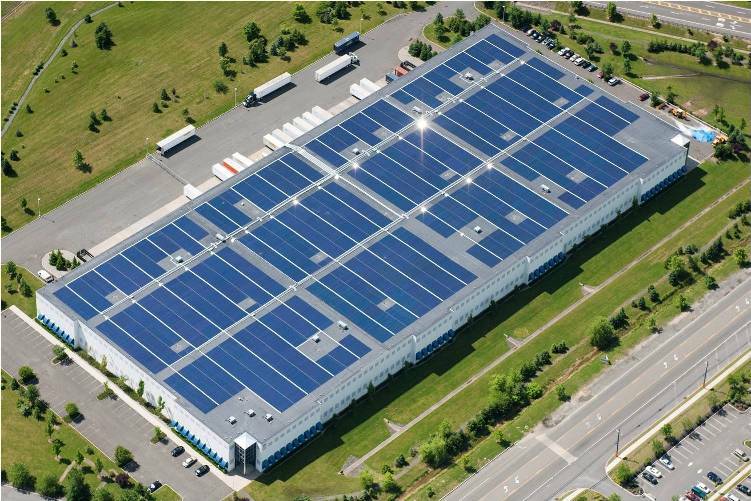 The QTS Realty Trust solar facility is a 14.1 MW ground-mounted, net-metered system located at the QTS data center in East Windsor Township, NJ. It is the largest privately-owned, net-metered solar project in the Western Hemisphere and has an estimated annual carbon reduction of nearly 14,000 tons. This is the equivalent of removing over 2,600 passenger vehicles from the road annually. The Brunswick solar facility is a 645 kW roof-mounted, grid-connected system located on a warehouse rooftop in Edison Township, NJ. The project has an estimated annual carbon reduction of 551 tons, which is the eqivalent of removing 104 passenger cars from the road annually. 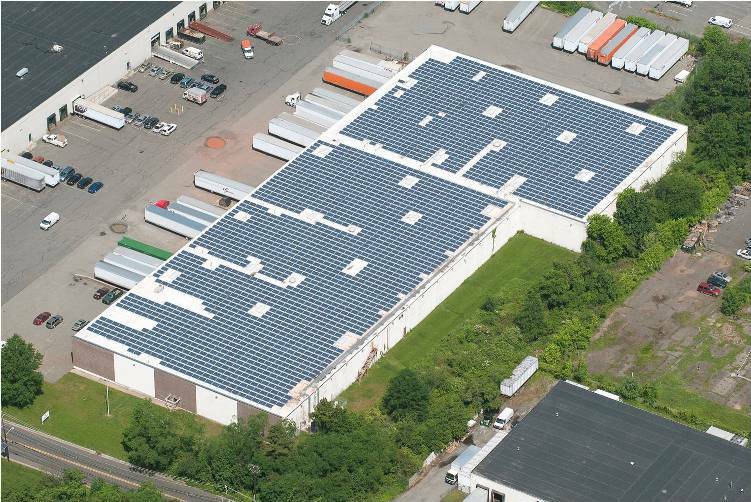 The Raritan Center solar facility is a 693 kW roof-mounted, grid-connected system on the rooftop of a flex warehouse/office space building located in the Raritan Center Business Park in Edison Township, NJ. The project's estimated annual carbon reduction of 595 tons is equivalent to removing 112 passenger vehicles from the road annually. 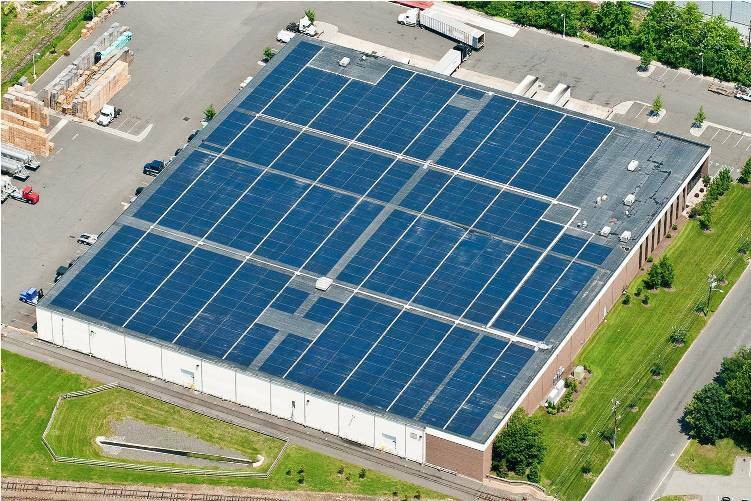 The Blair solar facility is a 1.52 MW roof-mounted, net-metered and grid-connected system located on a warehouse rooftop in Woodbridge Township, NJ. This project utilizes lightweight, thin-film solar technology and has an estimated annual carbon reduction of 871 tons. This is the equivalent of removing 165 passenger vehicles from the road annually. 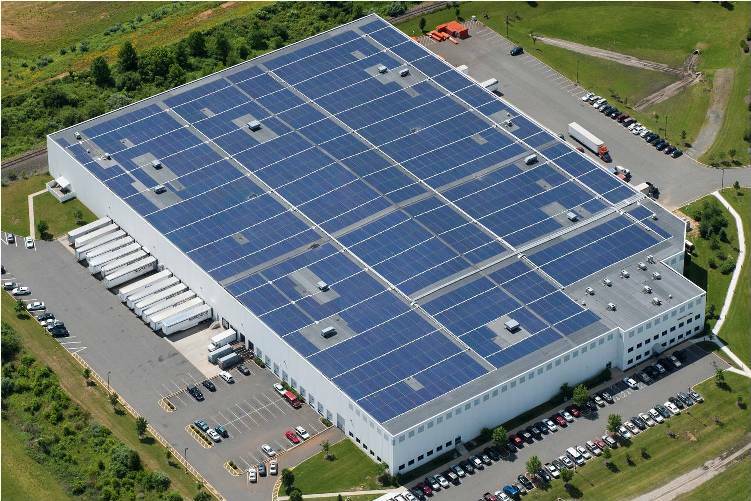 The Fieldcrest solar facility is a 494 kW roof-mounted, net-metered system located on a warehouse rooftop in the Raritan Center Business Park in Edison Township, NJ. This project utilizes lightweight, thin-film solar technology and has an estimated annual carbon reduction of 431 tons, which equates to removing over 80 passenger vehicles from the road annually. The Herrod solar facility is a 973 kW roof-mounted, net-metered system located on a warehouse rooftop in South Brunswick Township, NJ. This project utilizes lightweight, thin-film solar technology and has an estimated carbon reduction of 848 tons. This is the equivalent of removing 160 passenger cars from the road annually. 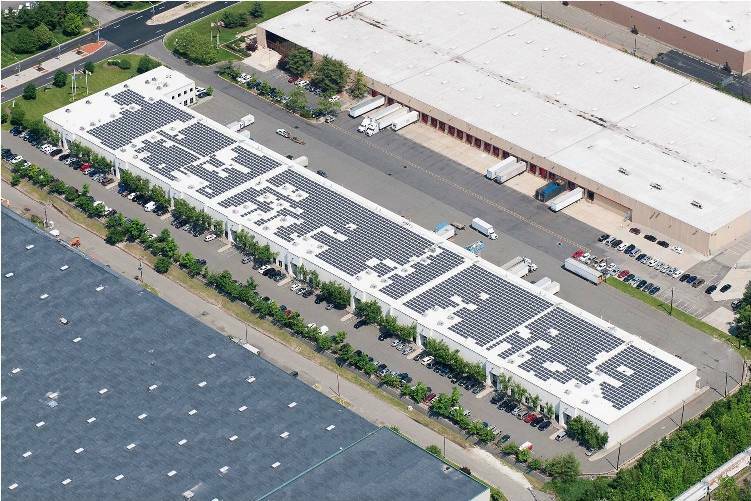 The South River Road solar facility is an 883 kW roof-mounted, net-metered and grid-connected system located on a warehouse rooftop in Cranbury, NJ. 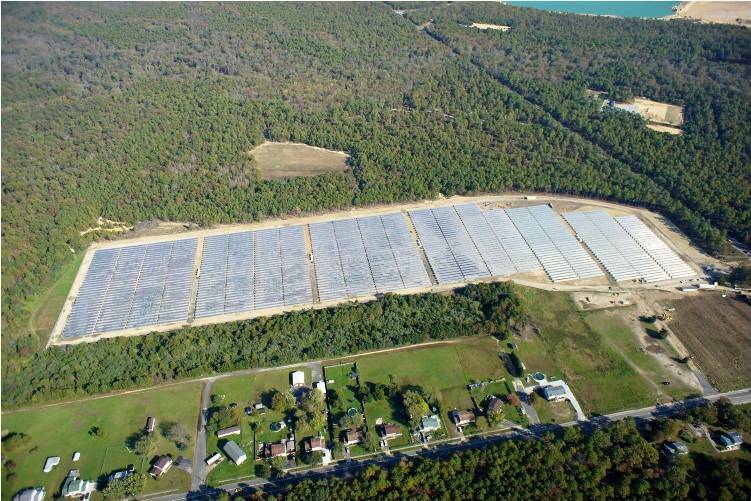 This project utilizes lightweight, thin-film solar technology and its estimated annual carbon reduction of 769 tons is equivalent to removing 145 passenger vehicles from the road annually. 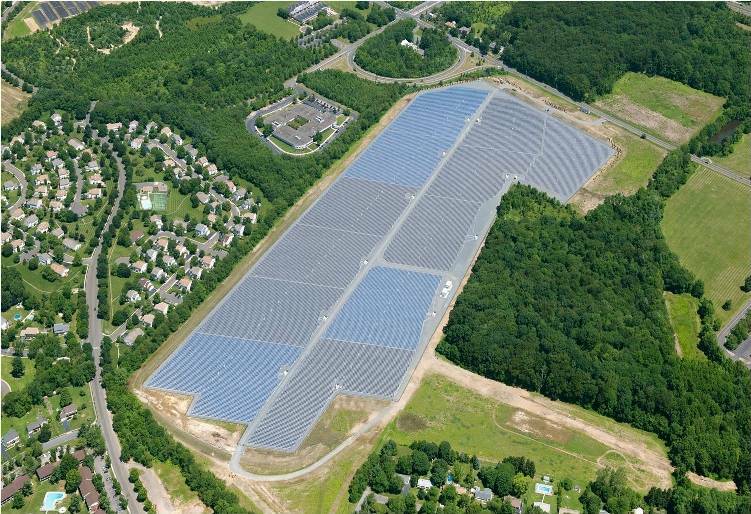 The Manalapan solar facility is a 3.6 MW fixed ground-mounted, grid-connected system located in Manalapan Township, NJ. The system is large enough to power about 450 homes and used to service the wholesale electric market. Annually, its carbon reduction is estimated at 3,357 tons, which equates to removing over 630 passenger vehicles from the road annually. The Vineland solar facility is a 4.7 MW single-axis tracking, ground-mounted, grid-connected system located in Vineland, NJ. This project provides electricity to the wholesale market through the Vineland Municipal Electric Utility. It produces 7.2 kWh annually, eliminating over 4,000 tons of carbon dioxide from the atmosphere - the equivalent of removing 971 passenger cars from the road. The Reeves Station Road solar facility is an 8.1 MW fixed, ground-mounted, grid-connected system located in Medford, NJ. The project was completed in two phases - the east and the south. Combined, the project's estimated annual carbon reduction of 7,842 tons is the equivalent of removing nearly 1,500 passenger vehicles from the road each year. 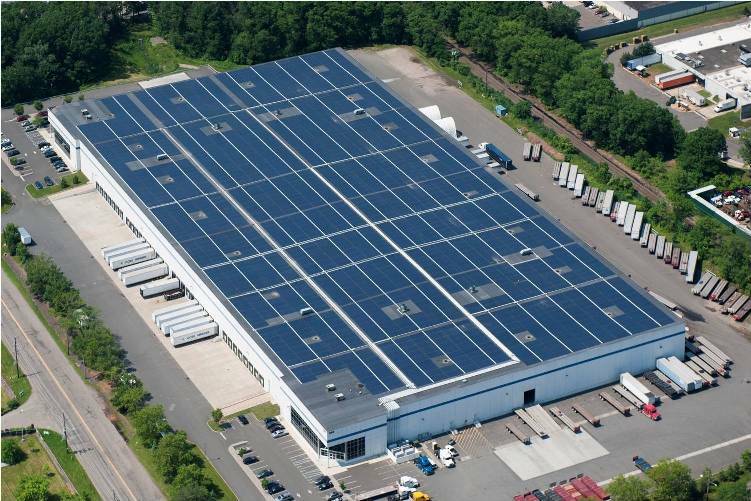 The Wakefern solar facility is a 2.4 MW roof-mounted, net-metered system located in Woodbridge Township, NJ. The system supplies power to a refrigerated warehouse, helping to lower the property owner's electricty costs and reducing carbon dioxide by an estimated 2,166 tons annually. This is the equvalent of removing over 400 passenger vehicles from the road annually. The Medford Wastewater Treatment Plant solar facility is a 1.5 MW ground-mounted, net-metered system located in Medford, NJ. The system supplies power to the plant, helping to reduce its electricity costs. The annual carbon reduction of more 1,500 tons of carbon dioxide is the equivalent of removing more than 280 passenger vehicles from the road each year. The Abescon Community Schools Complex solar system is a 0.9 MW ground-mounted, net-metered system in Absecon, NJ. The system provides electricity to the town’s elementary and middle schools. NJRCEV also presented an educational class to teach students how solar energy works and installed a data display for students to see real-time information about production. The system’s annual carbon reduction is nearly 1,000 tons, which is the equivalent of removing over 180 passenger vehicles from the road. 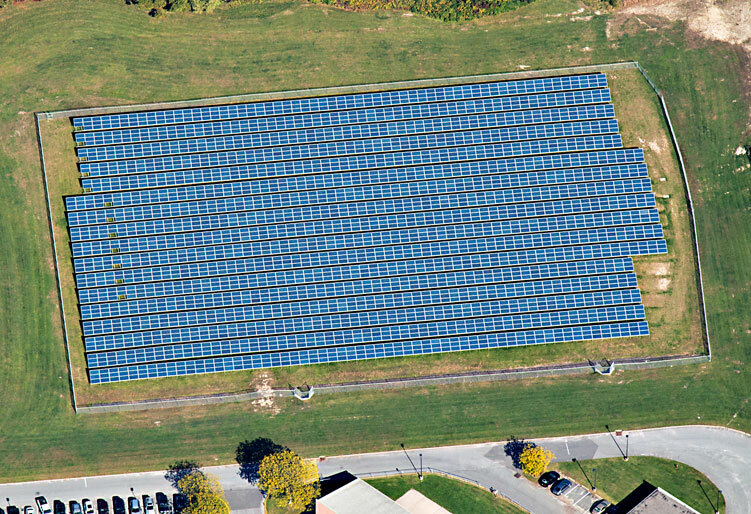 The Woolwich Township Municipal Complex solar system is located on a parcel of land adjacent to the Township’s municipal building and police headquarters. The ground-mounted, net-metered array provides electricity to the facility, helping Woolwich to further its efforts to be an environmentally-friendly municipality. The annual carbon reduction of 300 tons equates to removing nearly 60 passenger vehicles from the road each year. The West Pemberton solar facility is a 9.2 MW ground-mounted, grid-connected system located in Burlington, NJ. The annual carbon reduction of nearly 9,000 tons equates to removing over 1,700 passenger vehicles from the road each year. 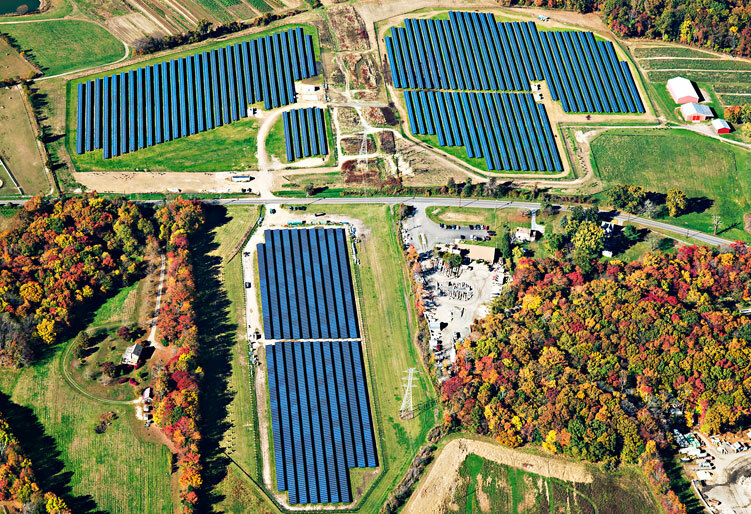 The Jacobstown solar facility is a 6.1 MW ground-mounted, grid-connected system located in North Hanover Township, NJ. The annual carbon reduction of 6,000 tons equates to removing nearly 1,150 passenger vehicles from the road each year. 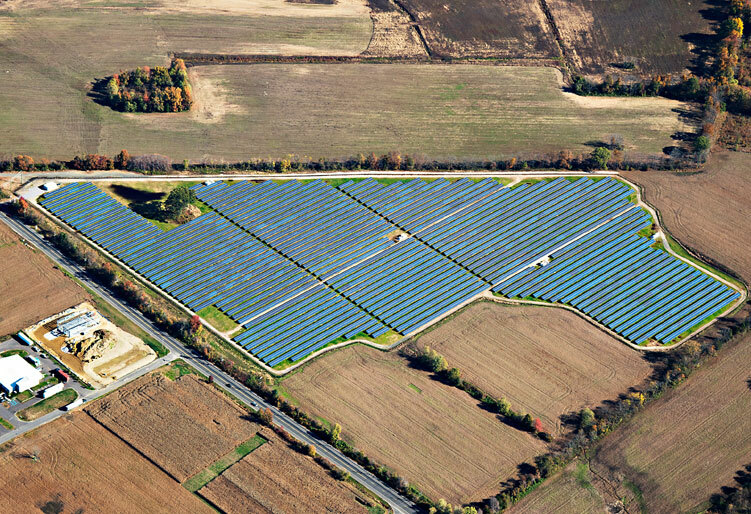 The Rock Solid solar facility is a 9.9 MW ground-mounted, grid-connected system located in Howell, NJ. The annual carbon reduction of 9,500 tons equates to removing approximately 1,825 passenger vehicles from the road each year. 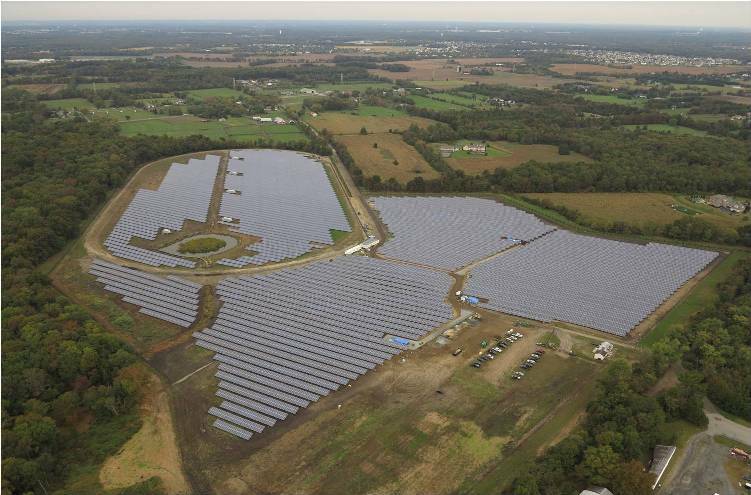 The North Run solar facility is a 6.1 MW ground-mounted, grid-connected system located in North Hanover Township, NJ. The annual carbon reduction of 6,000 tons equates to removing over 1,140 passenger vehicles from the road each year. The solar facility at the Franklin Township Board of Education is a 0.4 MW ground-mounted, net-metered system located in Pittstown, NJ. The annual carbon reduction of 395 tons equates to removing over 75 passenger vehicles from the road each year. The Harmony solar facility is a 3.9 MW ground-mounted, grid-connected system located in North Hanover Township, NJ. The annual carbon reduction of 3,800 tons equates to removing over 730 passenger vehicles from the road each year. 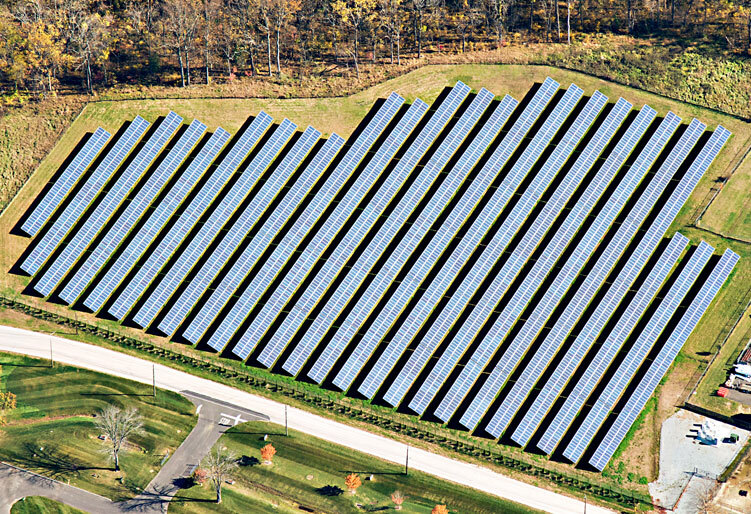 The Hanover solar facility is a 6 MW ground-mounted, grid-connected system located in North Hanover Township, NJ. The annual carbon reduction of nearly 5,900 tons equates to removing over 1,120 passenger vehicles from the road each year. 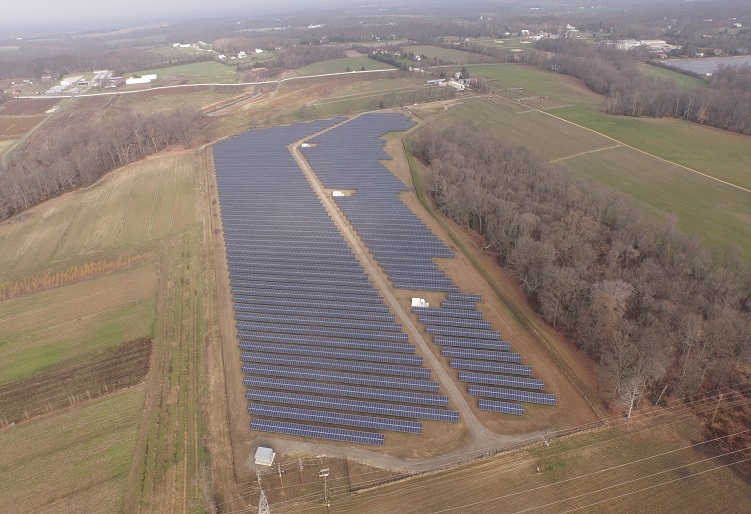 The East Amwell solar facility is a 2.2 MW ground-mounted, grid-connected system located in East Amwell Township, NJ. The annual carbon reduction of nearly over 2,100 tons equates to removing over 408 passenger vehicles from the road each year. The Junction Road solar facility is a 5.4 MW ground-mounted, grid-connected system located in Raritan, NJ. The annual carbon reduction of over 5,300 tons equates to removing over 1,000 passenger vehicles from the road each year. The Sharon Station solar facility is a 3.3 MW ground-mounted, grid-connected system located in Upper Freehold, NJ. The annual carbon reduction of nearly 3,350 tons equates to removing over 640 passenger vehicles from the road each year. 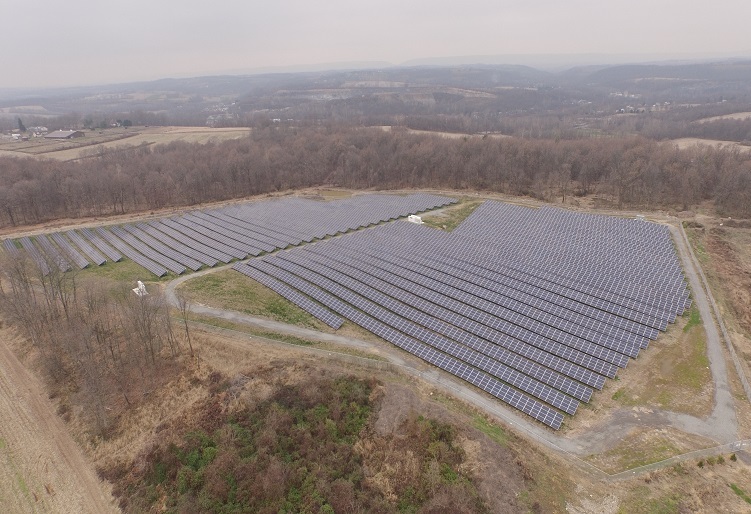 The solar facility at the Bernards Landfill is a 3.7 MW ground-mounted, grid-connected system located in Bernardsville, NJ. The annual carbon reduction of over 3,600 tons equates to removing 700 passenger vehicles from the road each year. 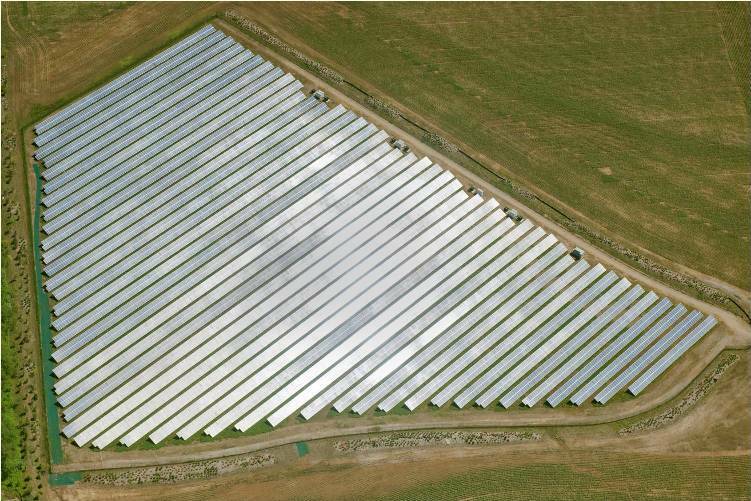 The Cedar Branch solar facility is a 7.2 MW ground-mounted, grid-connected system located in Buena Vista, NJ. The annual carbon reduction of over 7,100 tons equates to removing nearly 1,400 passenger vehicles from the road each year. The Brick Township Schools solar project is comprised of seven roof-mounted, net-metered systems totaling 2.5 MW on schools in Brick Township, NJ. The annual carbon reduction of nearly 2,500 tons equates to removing approximately 480 passenger vehicles from the road each year. The Westfield Township Schools solar project is comprised of five roof-mounted, net-metered systems totaling 1.6 MW on schools in Westfield, NJ. The annual carbon reduction of over 1,560 tons equates to removing over 300 passenger vehicles from the road each year. 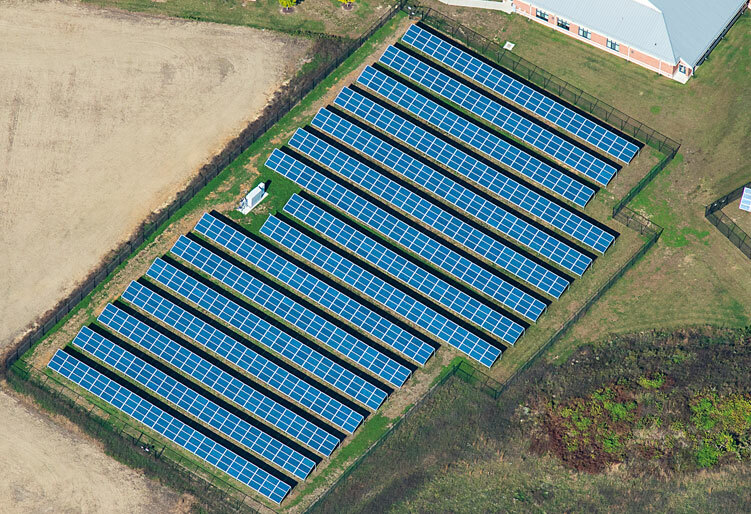 The Pemberton solar facility is a 20 MW ground-mounted, grid-connected system located in Pemberton, NJ. The annual carbon reduction of over 21,300 tons equates to removing over 4,100 passenger vehicles from the road each year. 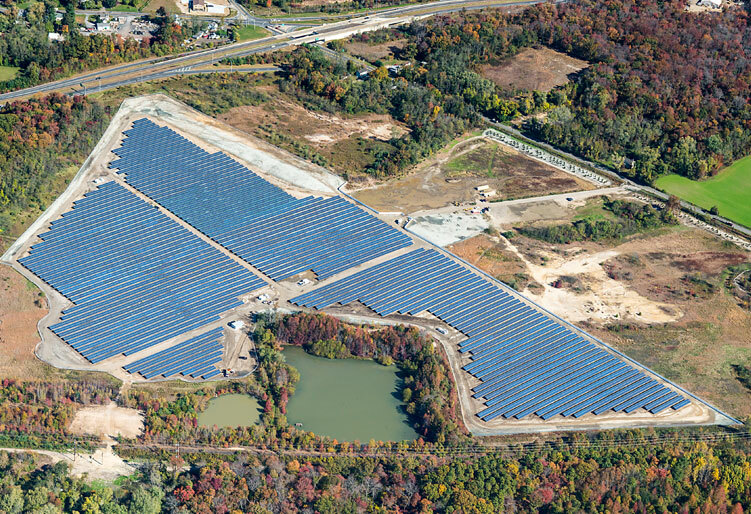 The Stonybrook Regional Sewage Authority solar facility is a 3 MW ground-mounted, net-metered system located in Princeton, NJ. The annual carbon reduction of 3,120 tons equates to removing over 600 passenger vehicles from the road each year.